Some jobs just need that extra punch of an added booster to your prespray or extraction solution. 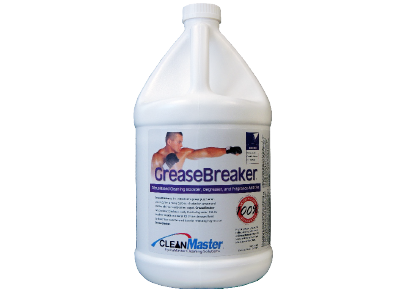 GreaseBreaker is the perfect extra power punch when you encounter a heavy build-up of caked on grease and oxidized oils in a heavily soiled carpet. Unlike many orange smelling boosting and degreasing agents that contain over 80% solvent fillers and additives, GreaseBreaker contains 100% active boosting and degreasing ingredients primarily derived from the peels of citrus fruits. GreaseBreaker is a must whenever you face the toughest cleaning situations. The oxygenated cleaning power of HydraBoost CT also makes it an ideal boosting agent for trashed and neglected carpet that has been exposed to high levels of oxygenated oils and grease. 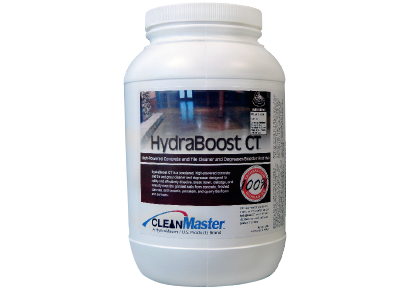 Simply add a couple of ounces of HydraBoost CT to your favorite traffic lane cleaner/preconditioner for the ultimate in cleaning power.